Well hello to you my reader chums! Today as I was washing my brushes, I thought I would show my routine of how I wash them. I usually clean them every two weeks, apart from my concealer brush which is cleaned weekly. 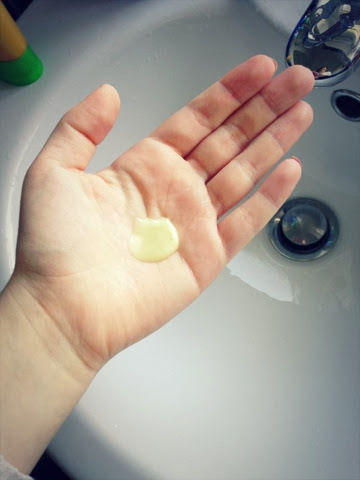 The first step is putting a blob of shampoo on your hand. I usually use herbal essences, however any product is useful as long as it kills bacteria such as baby shampoo, hand wash, olive oil etc. I then do circular motions with the brush and rinse it, where I continue with these motions lathering up the shampoo. Once lathered I give the brush a good soak to wash out all the shampoo, leaving it to be fresh and clean. I then repeat with all my other brushes and leave them to dry on a towel, flipping them occasionally. 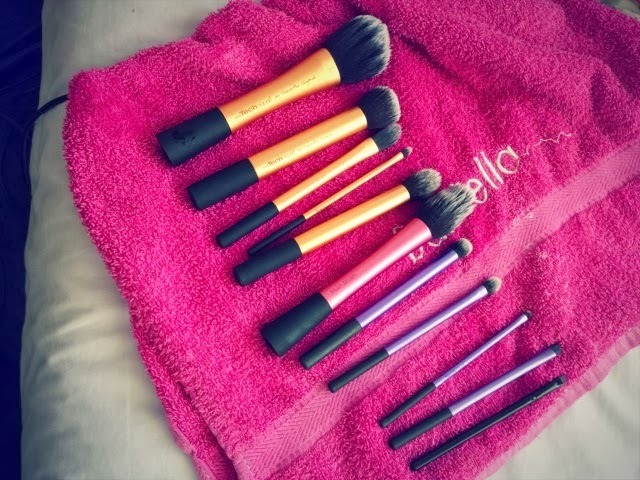 Cleaning your make up brushes is essential and its recommended you do them weekly. If you don't regularly wash them it means your putting the same bacteria onto your face from previous weeks, which is a horrible thought. I would say if you use products like foundation and concealer, those brushes should be cleaned more frequently than eye brushes or brushes you use for powder, blusher etc. This is pretty much exactly how I wash my brushes. It feels like such a chore to me! Great post! I definitely should wash my brushes more often, it's so important. 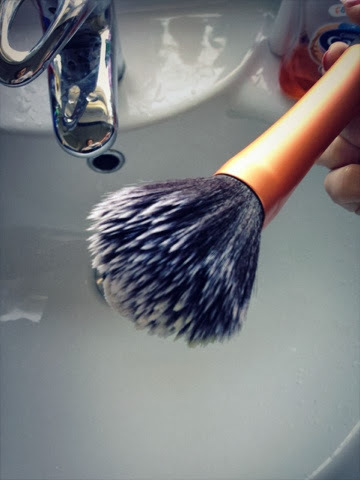 I do use a brush cleanser, just because it is a really good and cheap one :) Thank you for showing how you clean your brushes, always nice to hear what others do! I'll totally use this technique when I get some makeup brushes of my own! 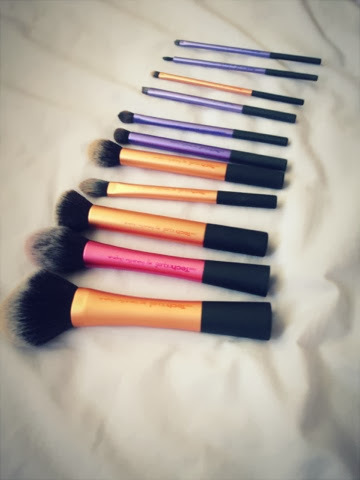 Ooh jealous of your real techniques make up brush collection! Haha. Thanks for the tutorial, I haaate cleaning my brushes! Need to do it tomorrow, ugh! :) really cute blog, would love if you'd have a little look at mine - follow on bloglovin if you like it and I'll follow back!